91355 Features: -Cleans light to medium soils on softer floor surfaces. -Nylon will not scratch tile, terrazzo, or coated surfaces. -Order mounting hardware separately. -0.25" Built-in riser and larger shower feed holes. -Additional center hole sizes available upon request. -Made in the USA. Product Type: -Angle Brooms. Country of Manufacture: -United States. Dimensions: Overall Length: -54". 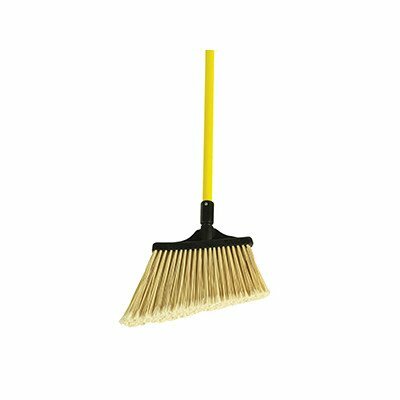 Broom Diameter: -1.5". Overall Product Weight: -2 lbs.